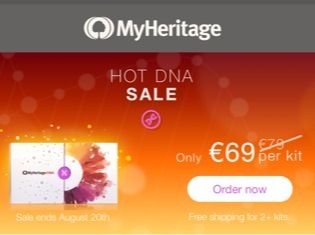 The price of the MyHeritage DNA testing kit is €69 | £69 | US$69, reduced from €75 | £75 | US$75, respectively. In each case, shipping is free if you order two or more kits. The sale offer runs until Monday 20 August.